Ok, so maybe shorts isn't the best idea in this weather. However I was dying to put this outfit together and wear it. I'm going to be all doom and gloom here and say I HATE my thighs in these photos but hey - I like the outfit so pish posh. I've had this playsuit for over two years now and only really wear it for special occassions as it's more of a smart one. My boyfriend hates it, I love it - so standard for my wardrobe really! 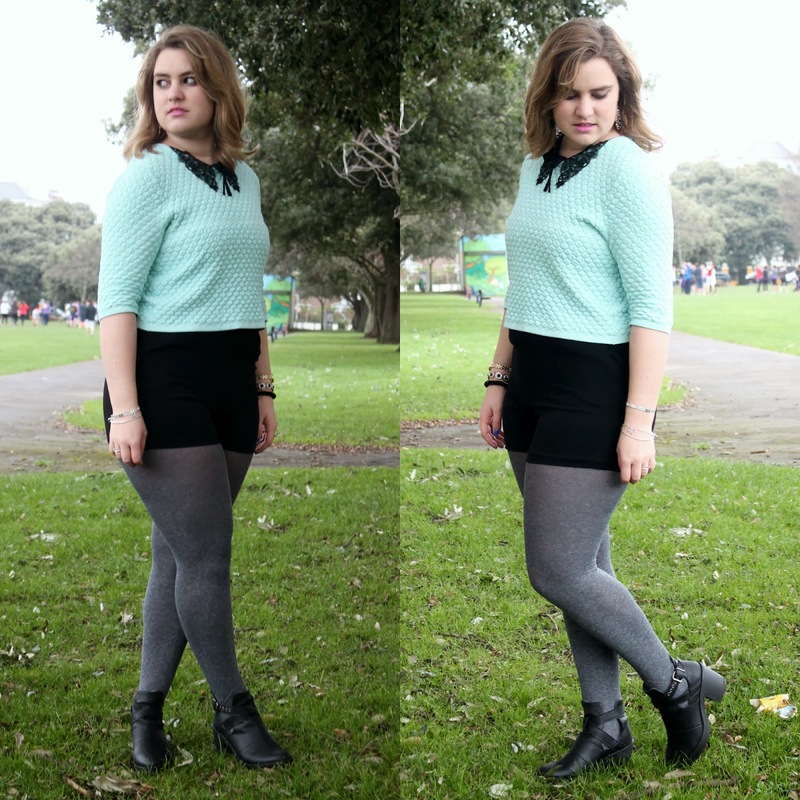 I recently got this gorgeous mint green jumper from Topshop with some Christmas vouchers and have worn it so much since. It's perfect for under collars and it's so warm, it's like triple quilted so very warm (this also means it takes two days to dry boo). I wore this outfit to go and see the lovely Paige from Paige Joanna for a bit of tea and cake (coffee for me) down in her home town of Southsea. We thought it would be the perfect opportunity to do some outfit pics. My legs were chilly, however my top half was very warm thanks to this cutie jumper. Thumbs up indeed! I've linked everything I can still find for you guys. You can also get this jumper in a gorgeous pale pink which you can find here. How would you style this jumper?